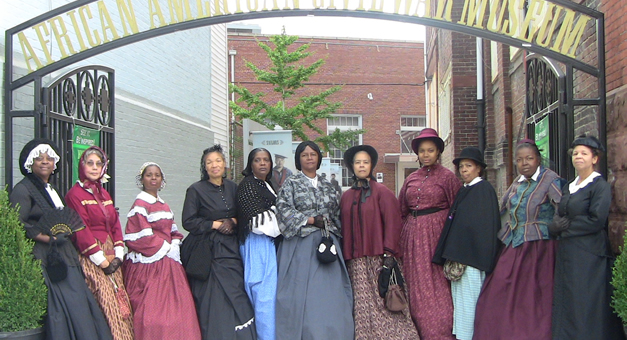 Columbia – The South Carolina African American Heritage Commission will host performances by FREED, the Female Reenactors of Distinction from Washington, D.C., who bring to life the undertold stories of African American women during the Civil War. The performances are being staged this week to celebrate National Women’s History Month. FREED is an auxiliary organization of the African American Civil War Museum in Washington, DC. Clemson — 6 p.m., Thursday, March 15, at the Watt Auditorium at Clemson University, 405 S. Palmetto Blvd. Rebecca Lee Davis Crumpler (1831 – 1895,) the first African American Doctress of Medicine. A physician in Freedmen’s Camps, Dr. Crumpler cared for slaves freed during the Civil War, and she published a book about women’s health, and prenatal care. Elizabeth Taylor Greenfield (1824 – 1876,) dubbed the Black Swan, this freed slave learned the art of classical singing. Greenfield became very popular in Great Britain and, in 1854, she sang for Queen Victoria at Buckingham Palace. Hallie Quinn Brown (1850–1949,) an abolitionist and powerful orator for the causes of temperance and women’s suffrage, her work as an activist in the Civil War era gave voice to the many social ills of the time. She was also an educator who served as Dean of Allen University in Columbia as well as and Dean of Women at Tuskegee Institute. Brown was even presented to Queen Victoria at Windsor Castle as a guest and notable elocutionist. Frances Ellen Watkins Harper (1825 – 1911,) an African-American abolitionist who played an important role in helping slaves escape through the Underground Railroad. Harper wrote frequently for anti-slavery newspapers, earning her a reputation as the mother of African American journalism. Harriet Jacobs (1813-1897,) author of Incident in the Life of A Slave Girl, which was written in 1861. The publication is among the most important slave narratives written by an African-American woman. The book details her abuse, escape, and extreme sacrifice to ensure her children’s safety. After the war, Jacobs joined the American Equal Rights Association and promoted education for freedmen. Charlotte Scott (1803-1891.) The first memorial to commemorate President Abraham Lincoln was initiated by Scott, an ex-slave from Lynchburg, Va. When the news arrived that President Lincoln had been assassinated, Scott exclaimed to her employers, “Now the best friend to colored people is dead; we colored people ought to raise a monument to his memory!” Scott’s first donation of $5 was the catalyst for the Freedom’s Memorial (Emancipation Memorial) in Washington, DC. There will also be a tribute called The Unknown Women for the nameless and faceless masses of women who endured slavery. For more information, contact Jannie Harriot at [email protected] or 843-332-3589. The SC Commission for Minority Affairs, the SC Department of Archives and History, the SC Arts Commission, which received funding from the National Endowment for the Arts; the Arts Council of York County Small Grants Program, the John and Susan Bennett Memorial Arts Fund of the Coastal Community Foundation of SC, Black Creek Arts Council, Novolex, Honda of the Carolinas, Sonoco and Pepsi of Florence.